This week, the folks over at TED just released a new initiative known as TED Books. 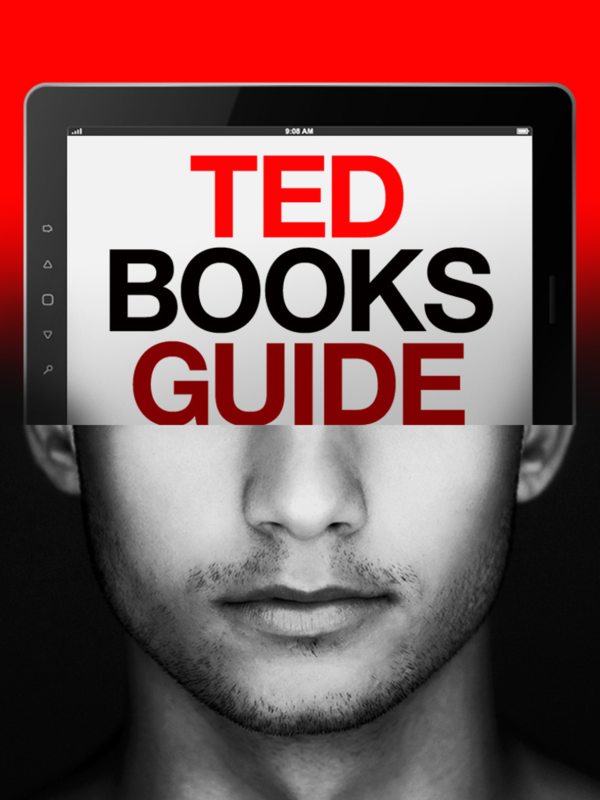 Available through apps for iPad, Kindle and Nook, TED Books are meant to be the eTextbook complement to the innovative series of TED talks we have all grown to love. Following the TED tradition of brevity, they are all meant to be consumed in about an hour. Their content also follows the TED tradition of unique, cutting edge and innovative content. At launch, TED Books includes 15 titles. Each title can be purchased for $2.99 each. You can also subscribe to TED Books for $14.99 for 3 months. Users are promised a new book every two weeks, so you’ll end up getting 6 books over the course of your subscription. As a special deal for “founding subscribers,” or those that subscribe within 90 days of the July 9, 2012 launch, you’ll get to download the entire back catalog (of 15 books) for free. In my initial experience, however, unless you are a generalist with a voracious reading appetite, you will find that you may not be interested in all of the books. Although I paid for the founding subscriber deal to get my feet wet, I expect that I’ll cancel my recurring subscription going forward in favor of only purchasing the books I find most interesting. TED Books are well designed. They are not just static PDF-like translations of printed books. TED Books include engaging images, social media connectivity and hyperlinks to videos, websites, and other supplementary content. In the next few days I’ll explore the TED Books a little more and provide you with an update on what I think. I’ve had a few days to sit down with the TED Books app and tested it out by reading Homo Evolutis: Please Meet the Next Human Species and Hybrid Reality: Thriving in the Emerging Human-Technology Civilization. Although I’m not going to comment on the content here, the Hybrid Reality book was a really engaging piece of reading. I would definitely recommend it for individuals interested in how technology is influencing macro-level trends in our society. Overall, I found using the app to a really positive experience. The content was just as engaging as what you’d expect from a TED Talk. TED Books are not hard hitting research pieces, although their authors are certainly knowledgeable. Instead, they provide a broad overview on a thought or idea and are written in a way that is very accessible. No specialized knowledge is required. They also provide some great jumping off points for individuals interested in cutting edge subject matter. I frequently found myself taking notes of other terms, individuals and works to look up later. The narrative styles of the books were as diverse as the authors that wrote them. They ranged from the conventional (Hybrid Reality) to the more poetic (Homo Evolutis). They could also easily be read in about an hour (a little over an hour in one case, a little under an hour with the other). They are perfect for commutes on a bus or train where you need to be able to consume something in bite size chunks. The multimedia features were integrated into the text well. Rather than being an “add on” or “afterthought,” they enhanced the content and helped me gain a greater appreciation for some of the concepts being discussed. I did, however, have some quibbles with the implementation. Because most of the links point to live web content, the books require an internet connection if you hope to enjoy them to their fullest. The links also do not include their direct web addresses either, so if you hope to look up the information later, outside of the book, you’re out of luck. Although it would make the files larger, it would be great if all of the media files were included within the book. At the very least, they should include a list of web links within the text for reference. Finally, as with any proprietary app or format, I get concerned about what happens to my books when the company decides it no longer wants to support the platform. If TED decided to stop supporting their app or change it in such a way that it is no longer compatible with older books, I would lose all of my paid content. Unfortunately this is the reality of new digital content based on proprietary standards (just ask anyone that bought songs in Microsoft’s PlaysForSure format). 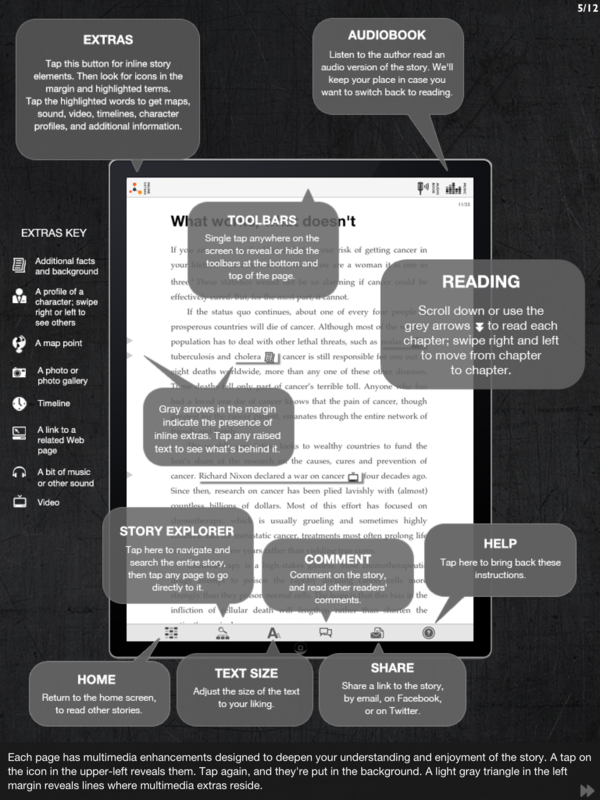 Hopefully this will be rectified in the near future through the adoption of open standards for rich eBooks. Overall, if you find the content compelling, I’d definitely suggest giving TED Books a go.